There is a freedom in the spirit of horses that I so admire. 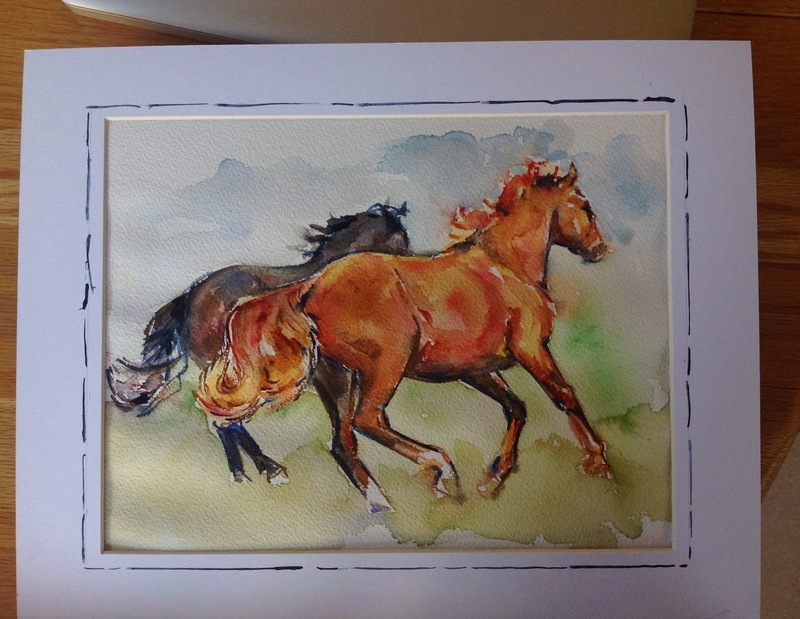 You always capture that in your horse paintings, Maria. Beautiful piece. I have been away from my blog and trying to get back into the routine of it. I have been seeing your work on facebook, and love the latest challenge you are doing. I think my favorite is the marching band- probably the colors!